Not everyone will have a package to open this Christmas! Thousands of people in Ireland are homeless and will spend this Christmas in emergency housing. While hundreds more will spend Christmas on the streets of Ireland. Christmas is a time where a lot of us indulge and spend more than we normally would. But for some people it’s the roughest, toughest and coldest time of the year. Focus Ireland is Ireland’s leading not for profit working to prevent people becoming, remaining or returning to homelessness. They work tirelessly all year round to combat homelessness. This Christmas, the team at Esmark Finch wanted to do our little bit to help! As a packaging company, we understand the thrill of opening a gift at Christmas but understand that not everyone has a package to open. 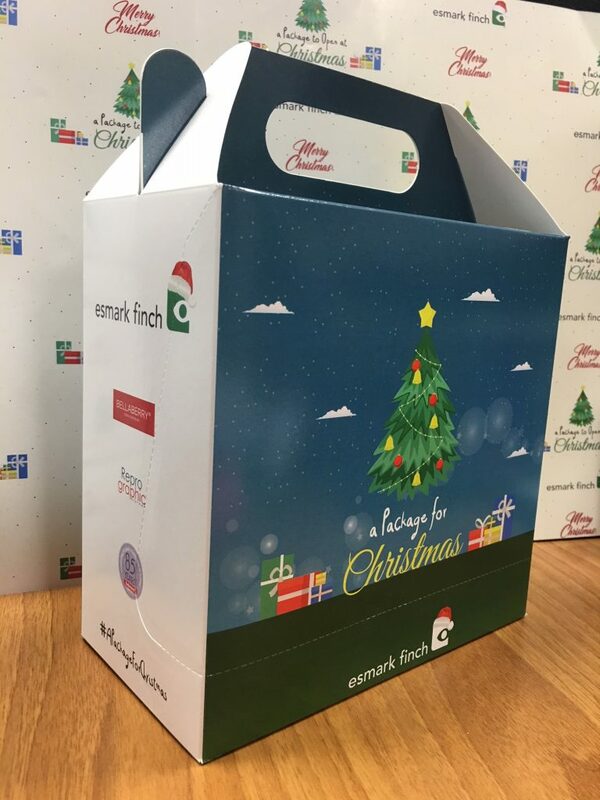 For Christmas, we produced individual Christmas Packages full of treats as well as necessities to send to Focus Ireland who will give them to the people who are disadvantaged this Christmas. We launched a social media campaign and reached out to our customers and suppliers to see if they wanted to help us make these boxes special. We received a great response. 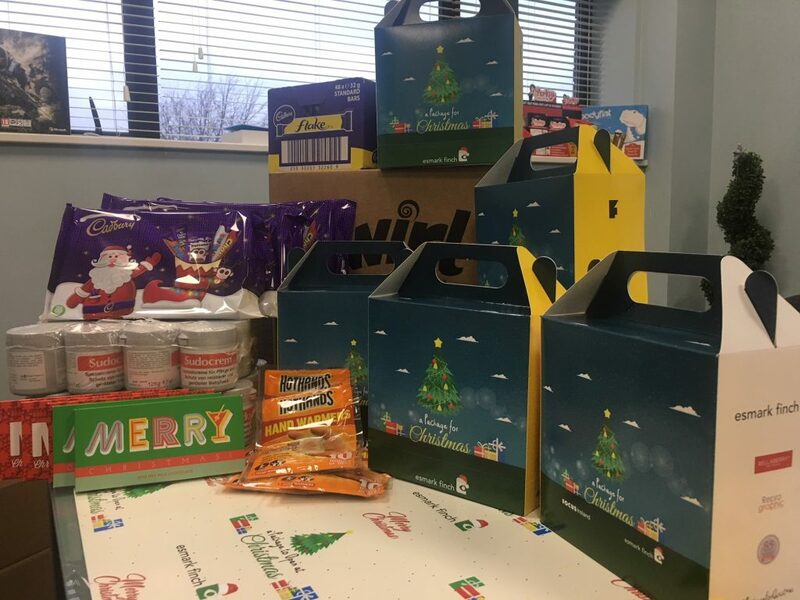 Some of our customers donated their wonderful products while a few of our suppliers sponsored items for the Christmas Packages such as hand warmers and selection boxes. 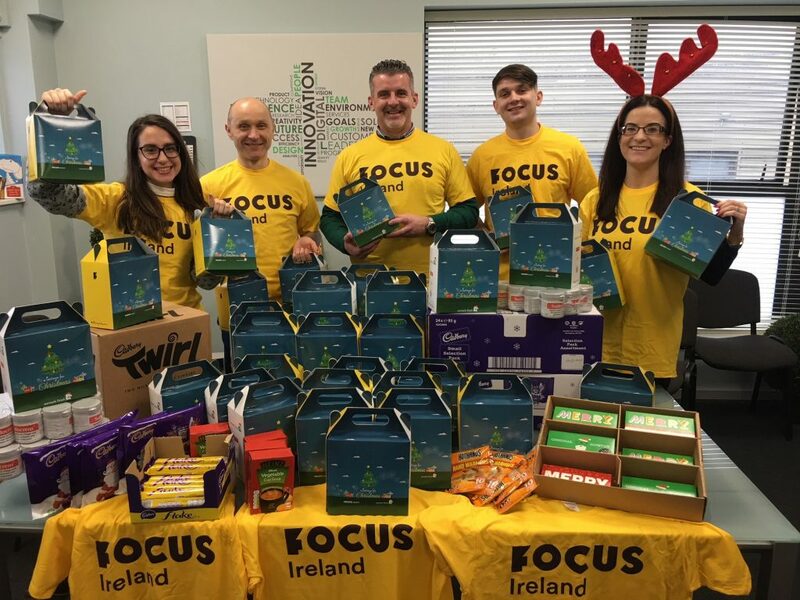 Focus Ireland sent us their T-Shirts for our ‘packing day’ and the team got together to fill the boxes with our gifts and our customers generous donations. Thermal hats, socks, gloves, sudocrem, chocolate, Cup A Soups and hand warmers were just some of the items that went into the boxes.We made the experience as festive as possible by singing along to Christmas FM as we packed over a 100 individual Packages. We sent the Packages to Focus Ireland in time for Christmas so they could hand them out to those in need. 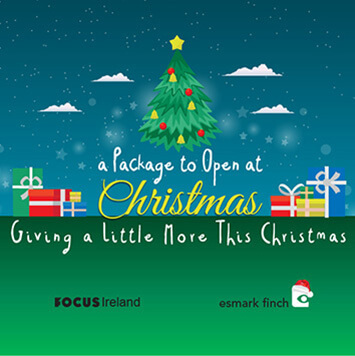 Focus Ireland were delighted to receive the packages and we were thrilled to do our little bit to help this Christmas. We’d like to thank all our customers and suppliers again for their generosity. Also, well done to the Esmark Finch team for their energy and commitment to this cause. Have a look in the full story by clicking here.